Ronnie Green, who died last month, was, in short, the quintessential jazz aficionado. Not a jazz fan, not a jazz lover. Aficionado. That’s how people who loved the art form when it was be-bop, mainstream and avant-garde in the Sixties liked to be known as. Aficionados used to “dig” Oscar Peterson and Miles Davis was “cool”. Ronnie Green was like that. He lived and breathed jazz. Ask anybody who is anybody in Cape Town’s serious jazz community, those who can talk about Peterson, Ahmad Jamal, Charlie Parker, Horace Silver, Joe Sample, and the like. Cape Town mourned and celebrated the life of a giant of a man – literally and figuratively. Social media was awash with tributes from across the globe. It is an acknowledgement of his stature that this tribute has been included on the Music Legends of Cape Town blog. He deserves no less. People of recent generations know of Ronnie as the man who ran the coolest “jazz scenes” at his Belthorn home, who presented a jazz program on Bush Radio, or the bloke who was at every jazz gig worth going to. Ronnie Green . . . a man of the world in more ways than one, sailing the high seas. But those of older vintage know a man who was a bit of a sports lover – baseball, darts, bowls. A popular man in the printing industry. A sailor. A raconteur. Those even older will know him as a bassist in a jazz quartet in the Sixties. Yep, he slapped a mean double bass with those big hands and fingers. His daughter, Colleen Linden, tells of a man whose commitment to local jazz was unquestionable. He loved listening to the likes of Winston Mankunku, Basil Coetzee, Robbie Jansen, the Dyers brothers, Darryl Andrews . . .
“We grew up with the artists like Stanley Turrentine on the turntable,” Colleen said. “We even had local music like Pacific Express and Zayn Adams. My dad’s whole life was music. “He also introduced us to classical music, he had a knowledge of all these genres. Colleen says her father never missed a CT Jazz Festival in 15 years and was known and respected in every nightclub in Cape Town. There was a lot to Ronnie Green that even those who admired him didn’t know. The boy, who was born in District 6, went from high school dropout, to night school matriculant and UNISA BCom student in his very mature years. I have put together some of the tributes to the man – from musicians, his grandchildren, his radio colleagues, and my own encounters with him so that his legacy lives on. One of the musicians he played with during his brief period as a musician was pianist Gary Hendrickse, a firm friend to the end. Gary delivered the eulogy at Ronnie’s funeral and what follows is an abridged version. 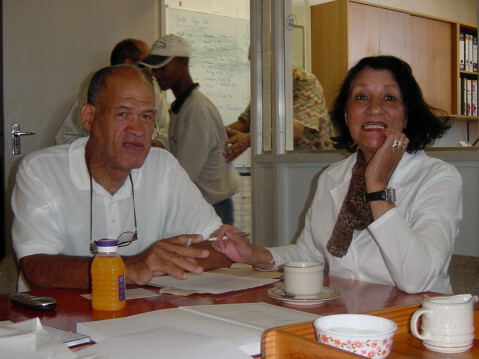 Gary Hendrickse: “Ronnie was born on 16 March 1939 to Willie and Caroline Green in District 6. He married Jean Thebus and in 1964, Jean and Ronnie moved to 26 Conquest Road, Belthorn Estate. “When I met them in late 1964, they had three children: Lawrence, Tyrone and Marilyn. Colleen was born in 1966. He and Jean were divorced and Jean passed on. He was with his present wife, Lorraine, for 28 years. “The first job he held down was with the GPO in Cape Town as telegram messenger (nicknamed Donkey Boys). “Thereafter he took up employment with Nooitgedacht Press and then Trio Rand, both printing firms. 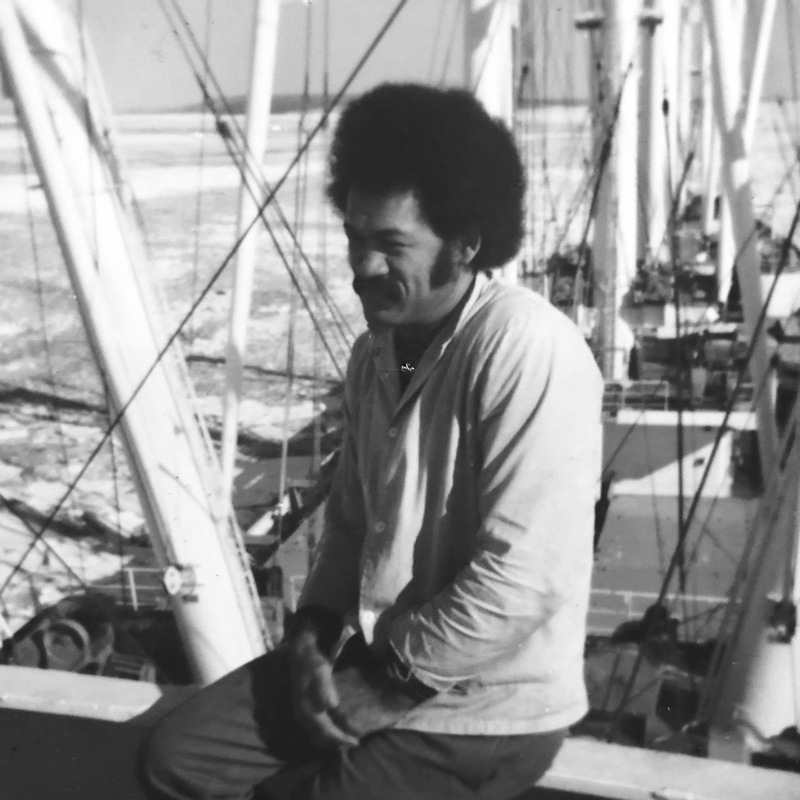 Eventually he took up employment with Safmarine as a steward on a container ship and then on a tanker. “After he left Safmarine, he acquired a printing press known as Bellor Press which had started at a house in Pinelands, moved to Camberwell Road Crawford, then to Maitland and eventually Athlone Industria. “Ronnie was an ardent sports enthusiast. He was a member of Tanta Baseball Club, played darts for Leoni Dart Club, joined Clovelly Golf Club and then joined Wheatfield Bowling club. “I met Ronnie in 1964 when he decided to buy a double bass. Ronnie arranged a meeting with Harry Peacock, the jazz guitarist, and we formed the Harry Peacock Quartet with Ronnie on double bass, Herbie Peacock on drums and me on piano. “In December 1964, we landed a three-month residency at the Hildebrand Restaurant when it was in the basement of the old Electricity House in St George’s Street, Cape Town. Our residency wasn’t renewed when the apartheid government passed a law prohibiting “mixed entertainment”. A band consisting of so-called coloureds wasn’t allowed to play for so-called whites and vice-versa. You weren’t allowed to have a so-called mixed band or a mixed audience. Blacks (known as Bantus then) were prohibited from performing in both so-called coloured and white establishments. “All so-called other race groups were prohibited from entering Bantu (black) areas. It was thus that we became resident at the Kensington Inn for most of 1965. “After this residency, we disbanded and in 1966 Ronnie and I joined Sammy Isaacs on drums to form the Blue Note Trio and took up a residency for two years at The Goldfinger Lounge in Belgravia Estate. “Ronnie left the group at the end of the two years due to having to work shifts. He all but gave up bass playing then. When I met Ronnie in 1964 I was 20. He introduced me to what is known as the ‘jazz life’. 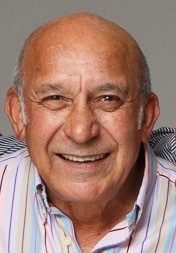 “Although he gave up playing an instrument, Ronnie was still an ardent jazz fan who attended and supported almost all – if not all – jazz events that took place in the Cape Town Metropolitan Area. “Over the years we contacted each other from time to time and whenever we spoke, we had such a lot to say to each other. “When he was in London, he visited Ronnie Scott’s Jazz Club and had a photo taken with Horace Silver. When Joe Sample, the international jazz pianist, was here in 2007 and Hubert Laws, the world renowned flautist, in 2011 for the Cape Town Jazz Festival, he brought them to Swingers in Wetton to sit in with local musicians. “He used to have jazz scenes at his home in the 1960s that drew jazz aficionados from far and wide. His enthusiasm for music inspired me to complete a course of study with the Berklee College of Music, Boston USA and part-time classical piano studies at UCT. “Ronnie was a larger than life personality who would make his presence known wherever he went. When he entered a room you would know Green has arrived. “He still lived a full life although his health started declining a good few years ago. We say farewell to a life well lived. Harry Peacock: “Around about 1963, Ronnie joined my group. We were friends in the neighbourhood. He was always hanging around when we played and scatting to the tunes in the background. “One day I said to him, ‘Listen, stop playing bass through your lips, go out and buy yourself a bass and you can join the group’. “And he did. He went to Paul Bothners, got himself a double bass and played with my group for a year or two. “Unfortunately, playing gigs at night clashed with his regular job and he had to make a decision. So he quit the group, which was unfortunate because we’ll never know what potential lay within. 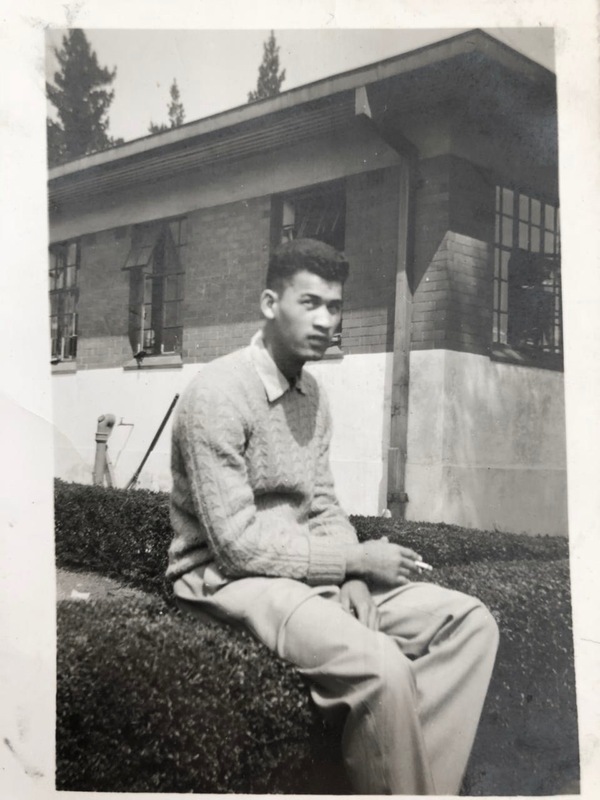 The grandchildren: “He might have been a cool dad, but he was a cooler grandfather. We got taught the difference between all the liqueurs; how to drink wine; how to eat crayfish and the fact that you only drink whiskey neat; how to place bets at the races; how to watch the blackjack dealer; how to figure out the roulette wheel; and what to look for when you play 11 cards. “He loved playing Thandi Klaasen’s mellow and hypnotic voice, and we grew up listening to, to name a few, Tony Schilder, Al Jarreau, Basil Coetzee, Errol Dyers, Ahmad Jamal, Dave Brubeck and Charlie Parker. 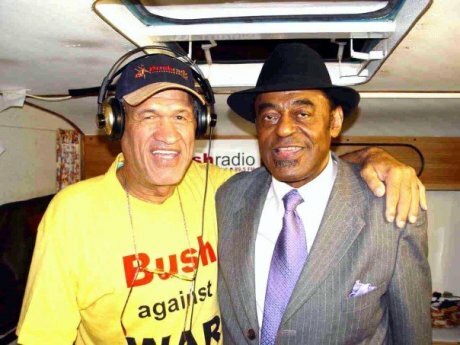 Bush Radio: “Ronnie was a former volunteer presenter on Bush Radio and was a giant in the Cape Town jazz music scene as the host of Ronnie Green’s Jazz Scene which he ran from his home. 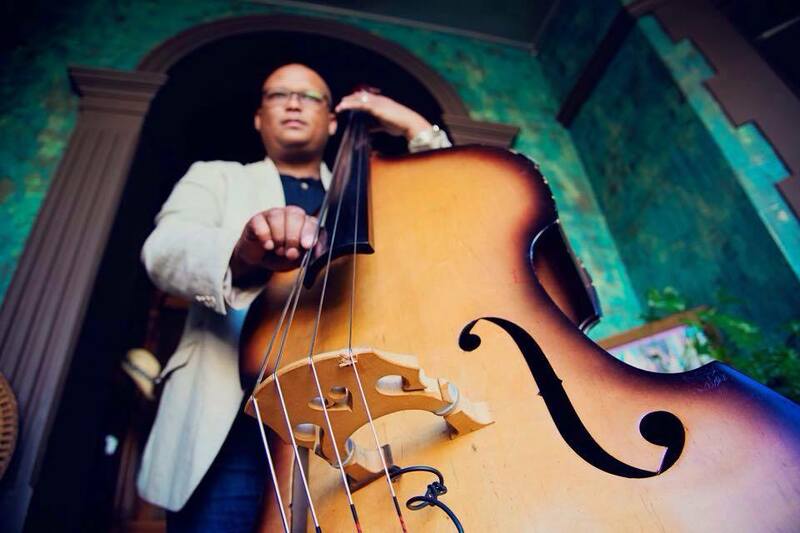 Bassist Wesley Rustin with Ronnie Green’s double bass. Wesley Rustin (bassist): I met Uncle Ronnie in 2007 at the Nassau Centre in Newlands where I performed with The Jason Reolon Trio. After the gig, Uncle Ronnie came over and introduced him as Ronnie Green. It felt rather awkward to address him as ‘Ronnie’ and I said ‘nice to meet you Uncle Ronnie’. “We had a long conversation about American and South African bass players from the ’50s, ’60s and ’70s. As the conversation continued, Uncle Ronnie mentioned that he would like to sell his double bass. I remember so clearly he said, “I don’t wanna sell the double bass to anyone, but it would give me peace of mind if you can buy the bass from me”. “Ever since he would come to my gigs around town. I remember one night, I played a different bass and he said ‘Waar is my bass’, (Where is my bass?). Warren Ludski: The last time I met Ronnie was when I bumped into him at the Cape Town Jazz Festival (where else?). I hadn’t seen him for more than 30 years and the strapping bloke was a bent man with a walking stick. We sat together in Rosies listening to some way, way way-out avant garde-fusion jazz trio until Ronnie said, with not a hint of sarcasm in his voice: “Did these guys happen to meet each other for the first time just before the show”. And we both walked out. A very youthful Ronnie Green — already Mr Smooth way back then. It was my first meeting with Ronnie back in ’67 or ’68 that I will always remember though. I was high up in the stand with friends at the old Athlone Stadium watching Cape Town Spurs. Seated not far away were some of Athlone’s characters, among them “Kef” Krynauw, a man who knew my family quite well. He shoved a joint in my hand and . . . Ronnie and I were friends! Material on this blog is copyrighted. Thank you Warren Ludski, nothing prepared us for the loss of my dad, while many who have lost a loved one have probably uttered those words before…. With Ronnie Green it feels different, to read the words passed away last month and my dad’s name in the same sentence still feels surreal… The world knew him as Ronnie the jazz man….even though we were raised in that fame of… “Is Ronnie Green YOUR DAD? ” We simply knew him as Dad…. And for sure we will miss all the many facets of who he was made of… Rest in Jazz Dad..